Celebrate your love with a special gift for your wife. Always near to your heart - show her how much you care with a gift from the heart. 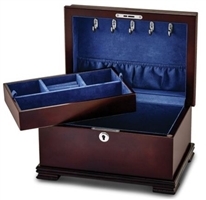 Select a jewelry box, travel case, keepsake jewelry or flatware chest. 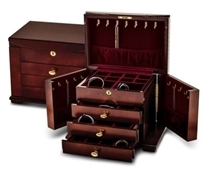 Personalize it to create a lasting heirloom she will treasure. 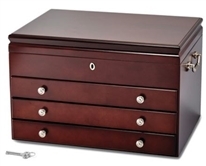 19" x 13" x 40"
A Very Elegant Jewelry Box!